With the rapid development of oilfield information construction, the requirements for the analysis of oil well production are also getting higher. The traditional method, which is by experience, cannot meet the demand of oilfield information construction for the analysis accuracy. 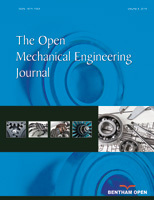 Based on some common problems in the analysis of oil production, this paper designs and implements the oil well production engineering analysis system based on NET. The design of the system mainly includes two parts. One part is the calculation of temperature and pressure field of the wellbore and the other part is the drawing of system efficiency control chart. This system can provide the distribution results of temperature and pressure of the wellbore during the production process, and according to the system efficiency control chart, we can accurately determine the production situation of oil well. This system has the advantages of simple operation, accurate calculation, clear analytical results, and comprehensive analysis.